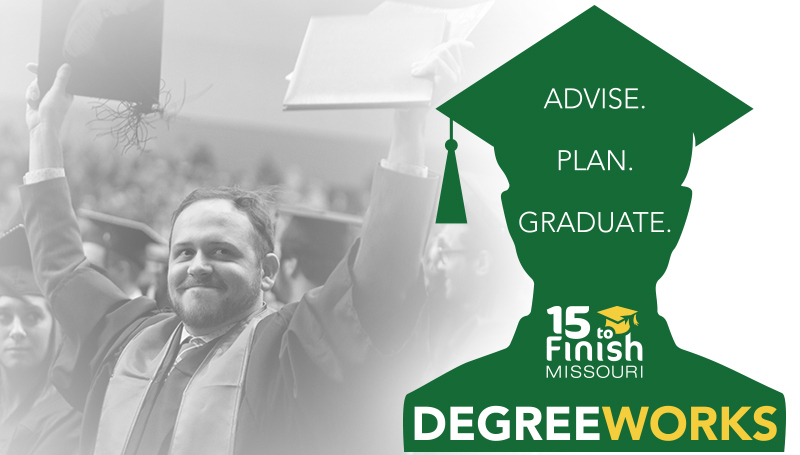 The Registrar’s Office at Missouri Southern will soon roll out the Degree Works audit system! Degree Works is an advisement tool which will be available in Fall 2017. Similar to the current CAPP degree audit, Degree Works provides students and advisors with an organized degree plan evaluation. It is aimed at helping students progress through their degree plan efficiently. · Green, red, and blue checkboxes indicate courses that are complete, not complete, and in-progress, making it easy for students and advisors to quickly see which requirements are still outstanding. General Academic Petitions already processed in the current Banner/CAPP system will NOT transfer to the new Degree Works system. Degree Works is a standalone software and cannot “read” petitions processed in Banner/CAPP. With the exception of students graduating this summer, petitions for students graduating under the current 2016-2017 catalog (or later) will be held in the Office of the Registrar until the campus is live with Degree Works. Once it is live, the petitions will be processed in Degree Works. The Office of the Registrar will notify students. Please note that petitions currently processed in Banner/CAPP will have to be reprocessed in Degree Works. This is going to take a significant amount of time given staff will be simultaneously building Degree Works for the 2017-2018 catalog. Watch for more updates once we begin this process. The Office of the Registrar looks forward to bringing the enhanced features of Degree Works to students, advisors and staff. Introductory sessions have already started. Please stay tuned for training sessions throughout the summer and fall semesters, as well as written documentation and online tutorials.